Replacing missing teeth when implants are not an option is a challenging reality for many patients. Some individuals may not be candidates for implant retained tooth replacement for a variety of reasons, including poor health or having insufficient bone to support an implant (even with all of our current bone growing techniques). The other non-removable method of tooth replacement, fixed bridges, is only possible if there are healthy teeth on either side of the space and the space is not too long. Today we will look at tooth replacement using a removable partial denture. 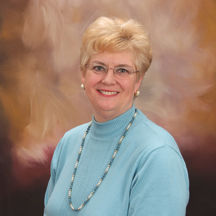 Removable partial dentures replace one or more teeth as well as lost/resorbed gum tissue. Replacing the missing teeth facilitates better chewing ability, stability of the bite, and esthetics. 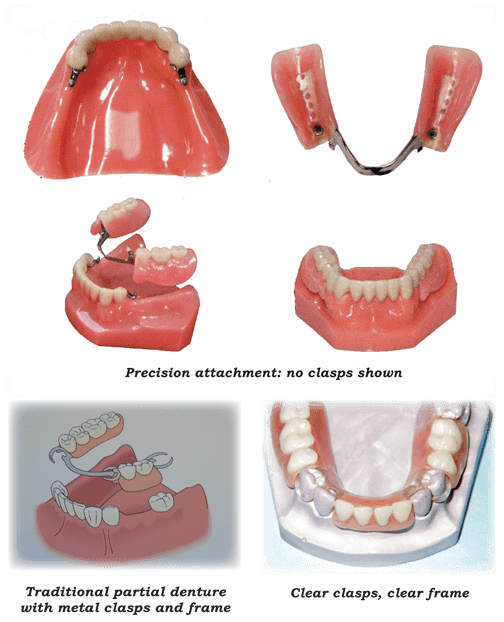 The challenge is to make the removable partial denture strong enough to withstand chewing as well as torqueing forces caused by placement and removal of the denture, and have it still be comfortable. There are many more choices today with the advent of new materials. Each has advantages and shortcomings. The dentist and laboratory technician survey molds of the mouth and photos of the teeth and face to arrive at the best design for the specific patient. Removable partial dentures need some mechanism to stay in place, usually clasps which hug select remaining teeth. Clasps may be metal, tooth color coated metal, clear or invisible. Invisible clasps, known as precision attachments fit within the confines of specially designed crowns secured to the supporting teeth. When possible, this is a very good option. Esthetically it is superior and forces are directed down the long axis of the abutment teeth where the shock absorbing ligament system is most effective. Unfortunately this is the most costly option and requires teeth with a good long-term prognosis. Clear clasps, when mechanically possible, blend very nicely with remaining teeth. Careful design can even minimize the visibility of metal components which exceed all other choices in the strength and longevity category. Major connectors, the supporting framework of the denture, can be made of a variety of metals or plastics. Plastics generally are thicker and more prone to breakage. The advantage is that teeth may easily be added should additional teeth be lost in the future. Some newer materials afford a very thin and cosmetically pleasing major connector but are flexible and difficult to repair or alter. A new partial denture which has both a clear major connector and clasps is available. This type has limited applications and is fragile. There are some patients that choose to accept these limitations to enjoy the superior esthetics and comfort. Tooth replacement is important. Proper chewing, maintaining the health of remaining teeth and gums, and self-confidence depend upon it. So, if you have missing teeth and are not a candidate for implants or if you have tried wearing partial dentures in the past and were disappointed, reopen the discussion with your dentist. New materials and the right design may make all the difference. Call our office for a consultation. We would be happy to serve you.